As an Irish dancer you’ve probably learned the ceili dance The Sweets of May. But did you ever wonder about the story behind it? 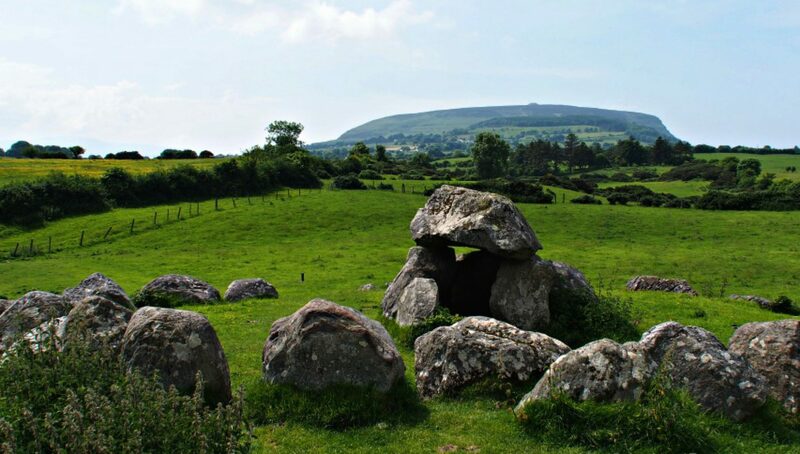 The Gaelic fire festival of Bealtaine (bee-awl-TAWN-neyh) marks the arrival of summer. A ‘cross-quarter day’, it marks the half-way point between between the spring equinox and the summer solstice. In Irish mythology the beginning of the summer season on May 1 was celebrated with great bonfires built on a hilltop the evening before. These fires were often built in pairs – referred to as ‘twin bonfires’- so people and cattle could pass between. This ‘purification’ by fire was only one ritual to help them transition safely into the new season, and was was especially important as animals were moved to their summer pastures at Bealtaine. Speak Irish: Bealtaine is the Irish word for May. It is told that an old dancing master in the county of Armagh was returning home on May Eve from a céilí in the early nineteenth century (early 1800s). As he passed by a fairy rath he spied the fae performing this dance. When the dancers reached the clapping movement all the bell-shaped flowers shook on their stems, ringing in time with the tune. 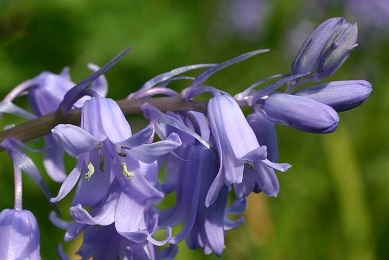 When the fairies dance on May Eve bell shaped flowers, like these bluebells, ring in unison with the tune. Inspired by the fairies the dance master is said to have created The Sweets of May or, in Irish, Aoibhneas ne Bealtaine. ~ From the National Folklore Collection, University College Dublin. NFC S.455:237. From Co Kerry. While the fae may have been able to make the bluebells ring during their dance, these wee magical creatures can’t cross the yellow primrose. This symbol of the first day of spring was laid across doorsteps to encourage fairies to visit and bless the house and those living in it- but keep them from causing mischief inside! This ritual led to the tradition of little gifts of flowers left on the door on May Day, which led to May Day baskets that you may remember with popcorn and small sweets.